Biore UV Aqua Rich Watery Essence PA++++! Four bottles are ordered and on their way to me at this very moment, and I can honestly say I’ve never been so excited to receive a sunscreen before. 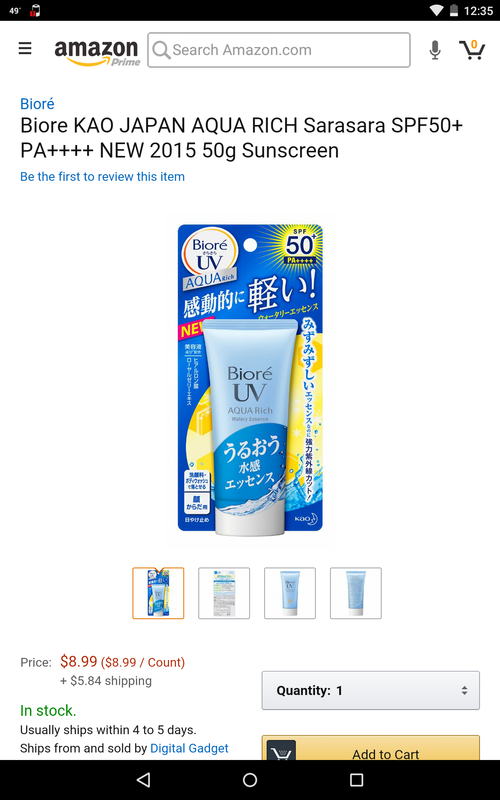 The only flaw I found in the old PA+++ version was that it wasn’t PA++++, so there’s a good chance the updated formula will be my Holy Grail sunscreen. Full review to come once I receive my order!